Search Engine Optimization (SEO) is using techniques and methods to improve how a site is ranked by search engines such as Google and Bing. 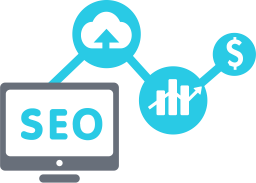 SEO packages can be a great tool to help increase leads and sales. While you may be thinking that you would rather focus your marketing dollars on direct campaigns and marketing emails than optimizing your ranking on search engines, you may want to think again. According to AYTM Market Research, over 94 percent of consumers used Google to research a possible purchase. People count on search engines to give them the right links to information about the goods they are about to purchase and the best places to purchase them from. According to a 2014 Edelman trust barometer, search engines are the second most trusted source of information, behind traditional media sources such as television and newspapers. 58 percent of respondents said that they trust search engines for information and news. Many people will trust what a search engine says as fact, especially the results at the top of the list. Organic search results are based on how relevant links are to the search criteria. Paid ads, on the other hand, are ads your company pays for to be shown when people are searching for key words. A 2013 Complete study found that organic search results garner 85 percent of the clicks in search results while paid ads only get 15 percent. An eye tracking study done by User Centric found that between 70 and 80 percent of people ignore the paid ads. It’s obvious that people are far more focused on organic search results rather than ads that companies have paid for to be shown with the search results. People, especially customers, believe that the higher ranking results on Google are the best. According to a study by Chitika, the top ranked result on Google gets 33 percent of the traffic while the second gets 18 percent. The study also noted that the first page of results gets 91.5 percent of all traffic while the second page only gets 4.8 percent. A study by Complete in 2013 found that 53 percent of online searchers click on the number one search result. The higher your eCommerce site ranks on search engines, the more likely it is to be clicked on by potential customers. SEO Optimization helps ensure that your eCommerce site will be near the top. According to the 2014 DemandGen’s B2B Buyer Behavior Survey, 46 percent of buyers used search engines to begin researching a potential purchase. If your eCommerce site is optimized, their research could lead the buyer to your website where they could make a conversion. The 2013 Adestra/Econsultancy Email Marketing Industry Census found that SEO was the top marketing tactic that leads to the greatest return on investment. Professional SEO services help your eCommerce business acquire customers and continue to sell to them. Is your company, looking to boost its rankings on search engines? 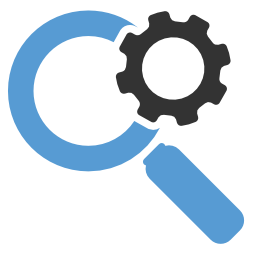 Our team at Clarity has SEO experts on hand to help optimize your eCommerce site for search engines. Our eCommerce platform is built with powerful analytics tools to track your SEO efforts. To find out more about how Clarity can help your eCommerce business, call or click to contact us today!